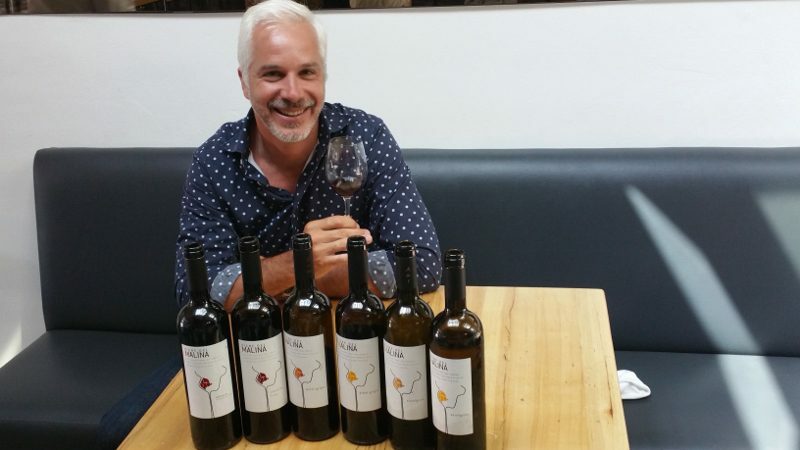 This article originally appeared in the Napa Valley Register (October 2, 2015). 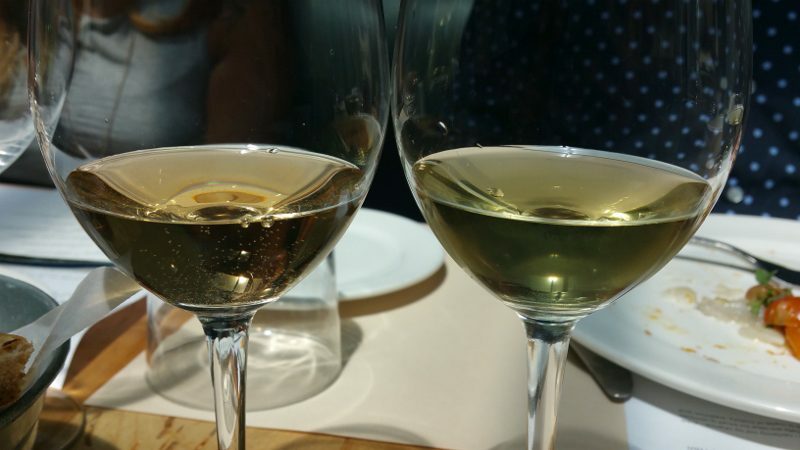 When one thinks of pinot grigio, one might think of that light colored, almost clear, white wine that is refreshing but really has no identifying features. Is it all the more authentic when you drink one from Italy? Does it matter if you can’t really taste the difference from one to another? As far as many pinot grigios are concerned, they could have been produced by the same company but have different labels on them. There is nothing that makes them stand out. But, here is one that will. 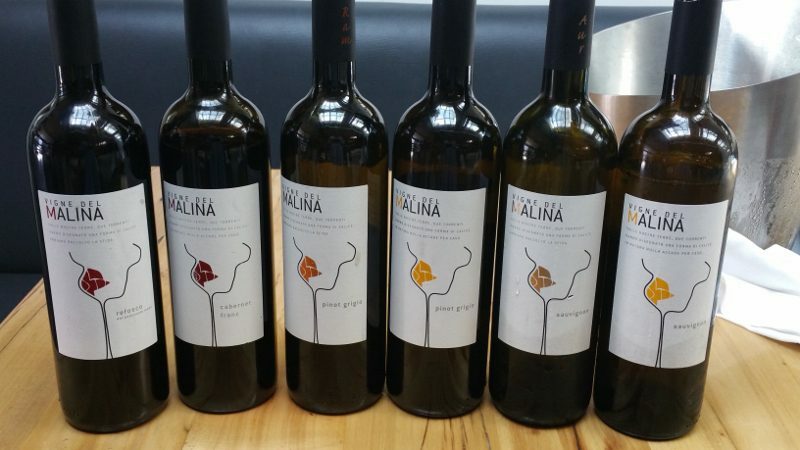 Vigne del Malina is a family-owned winery in the Friuli region in Italy. This is not your Santa Margarita pinot grigio. Located in Grave, which means gravel, the winery is located in an old river bed with the mountains surrounding. Ironically, the two streams around the winery, the Malina and the Ellero, draw the shape of a wineglass (which is the image of the winery logo). Owner Roberto Bacchetti’s parents are originally from Friuli. His father, a farmer, moved the family to Venezuela and worked in the oil business but kept his roots in Italy. Circa 1969, he bought the estate in Grave, the same estate that he used to pass daily on his way to and from work as a young farmer. Vigne del Malina was born. A self-sufficient estate, Roberto’s mother oversaw the remodeling of the building in 1972. With the existing vineyards planted, they sold the grapes to recoup costs. While they were selling in bulk, they were actually selling to top wineries who wanted their grapes. So, when the country of Venezuela went through turmoil in 2006, the family sold their business and moved back to Italy full time. And, in 2007, the first labeled bottle was produced by Vigne del Malina. The vineyards are 15 years old with underground irrigation. They grow three white grapes — pinot grigio, sauvignon blanc, chardonnay — and three red grapes — refosco, merlot, cabernet franc. While the wines could technically fall under the Grave DOC, they have classified their wines as IGT, not DOC or DOCG. Roberto explained that because they chose to ferment their white wines on their skins, the wines would not qualify for DOC status so they have kept them all labeled as IGT. The winery has always been organic, but next year will carry the organic certification. They also do not use any animal products in the wine to stabilize the wine and are therefore certified as “vegan friendly.” But, as Roberto pointed out, just because the wines are vegan friendly doesn’t mean you can’t enjoy them with a piece of meat, as that is what the wines, especially the reds, will pair best with. 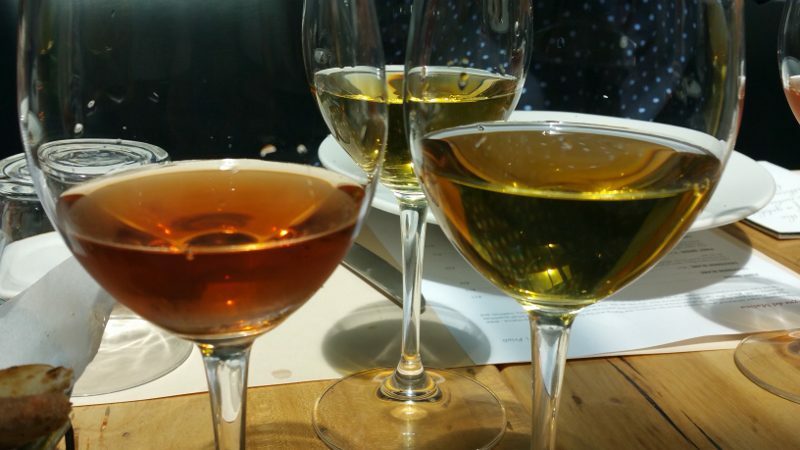 The white wines are made like red wines. They let the grapes mature to their fullest and only hand-pick. The white wines do a cold soak, or cryo-maceration, on the skins and are then pressed softly and placed in stainless steel for nine months with a stirring of the lees twice. The wines show the minerality of the terrain. And, unlike many white wines that are aged on their skins, the white wines of Vigne del Malina do not have oxidized notes. 2011 Pinot Grigio – After spending four hours on its skins, resulting in a pinkish tint, the wine exhibits tropical and floral notes with spicy undertones and a lovely sapidity. The 2011 vintage is the current release of the wine, which has allowed more time for the wine to settle and age in the bottle. 2011 Sauvignon Blanc—A greenish straw color, this wine has mineral and sweet herb notes, like sage and pepper. Like the pinot grigio, the current release of the sauvignon blanc is the 2011 vintage. 2008 Sauvignon Blanc “Aur”—This wine is macerated on its skins, and fermentation and aging take place in oak barrels for one year. The wine is a dark golden color with a nose of flinty stone and subtle acidity on the palate. 2009 Pinot Grigio “Ram”—The “Ram” pinot grigio goes through the same process as the “Aur” sauvignon blanc. The resulting wine is dark orange or copper color with aromas of ripe fruit. 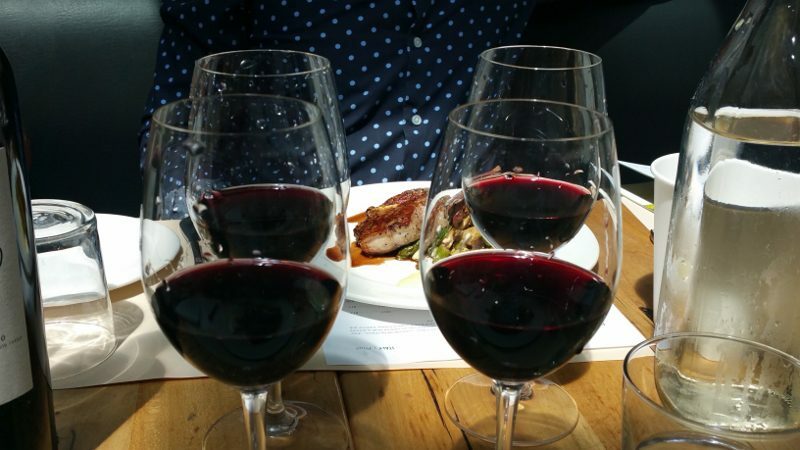 Despite the color, the wine does not have any oxidative qualities. 2008 Refosco del Penuncolo Rosso – Aged in oak barrels for 24 months, this wine is fined but not filtered. It is a deep red color with purple hues and has good tannins. 2011 Cabernet Franc – After spending 18 months in barrel, this wine is an intense ruby color with aromas of red wild berries and black pepper. There is a slight tartness on the finish, similar to rhubarb. Read the story in the Napa Valley Register. This entry was posted in Wine and tagged Friuli, Italy, Napa Valley Register, Pinot Grigio, Roberto Bacchetti, Vigne del Malina, Wine by Allison Levine.